The bathroom is a cherished space in the home. This is due in part to the fact that the bathtub, one of the key features of a bathroom, is the place where we get clean and relax after a hard day’s work. Plus, a shiny, squeaky clean bathtub can make a bathroom look immaculate. That being said, a bathtub gets a lot of use. Between all the baths, showers, and pet baths, a bathtub can begin to look rough as time goes on. From looking worn out to featuring an outdated style, a bathtub can look more like a rusty, beat up tin can after a while. While a bathtub replacement is always an option — it’s also a costly one. That’s where we come in! Our team can solve many common bathtub problems with a quick, simple, and effective solution: bathtub resurfacing. If you’re ready to upgrade your bathtub in a cost- and time-effective manner, call Expert Resurfacing for a Top Rated Local® bathtub resurfacing in Tidewater. Does your bathtub look like it belongs on the set of horror movie? Is the tile grout old, peeling, and covered in mildew? Does your bathtub look and feel rough and grimy? These are all signs that you have a case of a worn-out tub. Don’t feel embarrassed or ashamed, however, as this is a common problem that comes with having an older home. Plus, there’s no need to worry because an expert bathtub resurfacing can transform your bathtub from old and worn to new and glistening. 1974 called and said they want their bathtub back. Does your bathtub have an odd, dated shape, inefficient features, or simply lack in the style department? A dated bathtub style can make your entire bathroom look dated. Unless you really love that mid-century modern style bathtub and bathroom look, it might be time for a style upgrade. Our resurfacing team can help you find the right style to give your bathroom a nice aesthetic, which can also raise the value of your home if you’re trying to sell it. The truth of the matter is, some things should stay in the past — your tub style included. Does your white porcelain tub look brown? Or maybe it has a nice tie-dye effect going on? Either way, if your tub is not the color it should be due to hard water stains, a bathtub resurfacing is an affordable way to rejuvenate your bathtub surface without all the mess and stress of replacing it. Is your bathtub as yellow as the sun? Is it as blue as the sea? Maybe it’s a nice shade of pink that reminds you more of Pepto Bismol than a relaxing place to take a hot soak. These colors were super popular bathtub choices back in the 60s, 70s, and 80s, but which today are almost comical. If you’re ready to finally get rid of that lime green tub, bathtub resurfacing is the way to go. 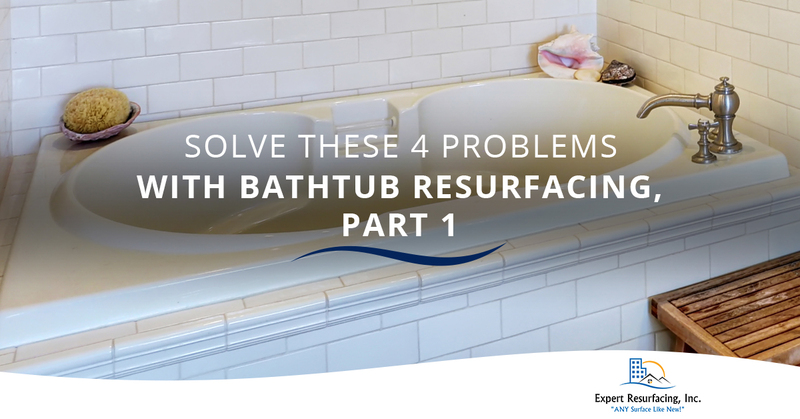 Refinishing your bathtub can solve all of these problems and more, so if you’re ready to transform your bathtub from drab to fab, give Expert Resurfacing a call! A Top Rated Local® bathtub resurfacing in Tidewater is the perfect way to update your bathtub’s style and color while rejuvenating its feel and appearance. Contact us today to get started! Looking for more great resurfacing services to spruce up your home? Be sure to check out our services, which include shower resurfacing, tile resurfacing, vanity resurfacing, and so much more! 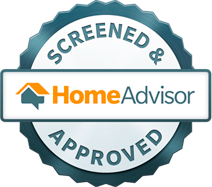 Call us today to start your next home upgrade project!